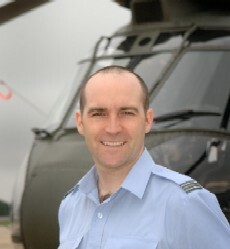 In this the third and final part of the DHFS podcasts I’m interviewing Flight Lieutenant Stu Walker. Stu invited me down to RAF Shawbury, arranged my visit and the interviews with the various personnel on the base. Stu’s story is quite an interesting one and so I thought it would make a good stand-alone podcast in its own right. In this interview Stu tells me how he wanted to join the RAF from an early age. Initially his aim was to become a front-line fighter pilot but you can hear how his military career progressed through flight training, flying Nimrods, doing a masters degree is Aero Systems, working in the Flight Information Publications department and then on to flying helicopters. 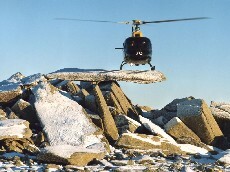 Stu grew up in the Lake District and often saw RAF jets flying around the fells. This is what spurred the young Stu to join the Air Force. He initially wanted to fly Tornados but as we’ll hear, this dream didn’t quite materialise. In the second part of the DHFS podcasts I interview Squadron Leader Jason Bowes and Master Aircrew Graeme Longmuir. 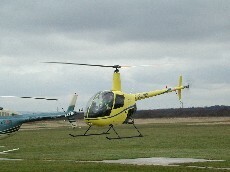 They’re both from 60 Squadron, responsible for training pilots and crewmen on multi engine helicopters at RAF Shawbury. I also talk to a couple of RAF students; Flight Lieutenants Keith Lam and Becky Corrigan and also to Corporal Neil Moncur, head of Flight Planning and lastly to Paul Gresty of the Met Office. The Defence Helicopter Flying School is where helicopter pilots and crewmen for all of the UK’s armed forces are trained. In this the first of 3 episodes on the Defence Helicopter Flying School I’m talking to the Commandant, Group Captain Jock Brown, who gives me an overview of the unit which is based at RAF Shawbury. Also in this episode I interview the squadron leaders of the 2 squadrons that teach single engine helicopter flying, both basic and advanced, here at the DHFS. 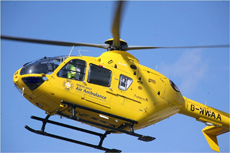 Gary Cooper of Helicopters Northwest explains about helicopter training giving a brief outline of the syllabus, post PPL(H) training options and the sort of problems you can encounter whilst learning to fly. 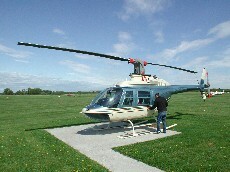 I spent a few hours with Joel Tobias, owner of a Bell 206 BIII Jet Ranger. In this podcast interview he gives us some background to his flying career, his aircraft and how he uses it for business and pleasure. A chat with Sgt. 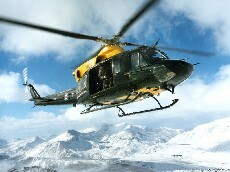 Mick Dunn from Greater Manchester Police’s Air Support Unit. 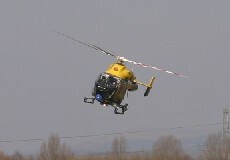 The Air Support Unit operates the Police helicopter from City Airport, Manchester. The interview covers such areas as the aircraft used, the technologies they carry onboard, their operational usage and the career path towards getting into the pilot’s or the air observer’s seat.